Due to high acclaim and the fact that McInerny is a peer of one of my favourite authors, Bret Easton Ellis, I was looking forward to my first reading. The protagonist’s second person narrative is hard to get used to at first, but as the novel progresses a rapport is established by his satirical nature which helps the reader relate to his ironic outlook. Caught up in the copious cocaine craze of the 1980s, the protagonist works in New York at ‘The Department of Factual Verification’ which immediately contrasts its mundanity with the nightlife he leads with ‘it-boy’ best-friend Tad Allagash. The story focuses on the deterioration of the protagonist’s life and his unwillingness to accept it. His wife is a well-known model who has left him for someone else, and as he struggles to accept or admit this to anyone in fear of looking inferior, his perception changes as he realises that she has become an object of her employment. McInerny’s imaginative re-creation of her as an object, through the moulding of a manikin, acts as a metaphor for her artificiality. As the protagonist’s perception changes and life rapidly deteriorates around him we start to realise that not only have the bright lights affected his wife by turning her into a superficial being, but the big city has also taken its hold on him. The regurgitation of news stories and events he reads which he shows genuine interest towards highlights his superficiality. The protagonist’s unawareness of his dependence on the culture in which he is immersed proves to suggest that although one might see it in others, it is difficult to see the effect the mass market can have on one’s self until it is too late. While the novel ends without closure, the destruction of the protagonist’s life suggests hope from the ruins as he recounts the experience with his dying mother, and rebuilds a relationship with his brother before he leaves for the city’s nightlife, drugs and alcohol. 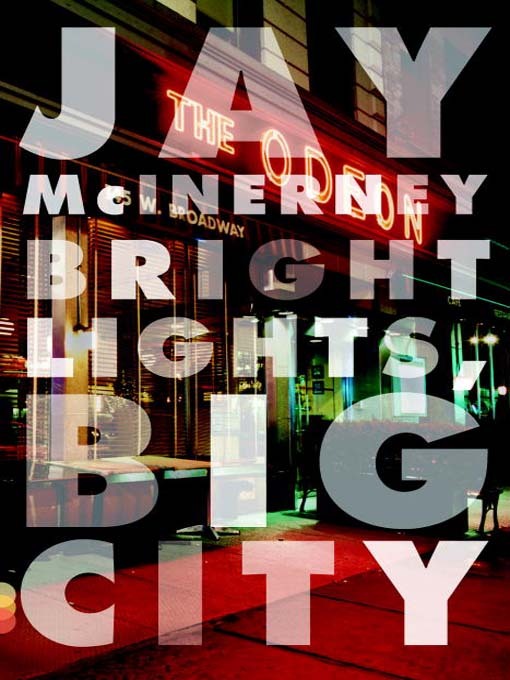 A clever, chilling and characteristic novel of the 1980s highlighting the complications of drug addiction and the party lifestyle as well as the claustrophobic nature of the city.